A few weeks ago I started to notice that my weight was creeping up a bit. I guess I’d been ignoring it for a while, but now it had got to the point where my jeans were feeling rather tight at the waist. So I decided to take action and do something about it. Just one month later I was 20 pounds lighter and my jeans were looser around the waist than they had ever been. It wasn’t difficult, but it did require a bit of determination. That’s the bottom line with weight loss; you have to decide you are going to do it no matter what. So if you’d like to do the same as I did, this is how I lost 20 pounds in just a month. I skipped breakfast and drank only water in the morning. For lunch I ate protein (tuna or an omelette) and a salad followed by two cups of coffee. Dinner was my biggest meal. I ate meat, poultry or fish, with vegetables and some carbs (rice or potatoes). After dinner I had a mug of unsweetened cocoa. I did a brief full-body workout with weights three times a week. After each workout, I had a protein shake and a banana. Contrary to what your mother may have told you, breakfast is not the most important meal of the day. In fact, it’s probably the least important. And unless you are a student with early classes, have a physically demanding job, or work out in the morning, you may find that you perform better if you simply give breakfast a miss. So, in the morning, all I consumed was water. But you could have some black unsweetened coffee or tea if you wish. Why does skipping breakfast help with weight-loss? Skipping breakfast is a form of daily intermittent fasting, and will not only help you burn fat and give you more energy, but will provide you with many other health benefits as well. Doing this will train your body to use its own fat stores as its primary fuel source, resulting in less effort and more weight loss, says Keith Kantor, a doctor of nutritional science and naturopathic doctor in Atlanta. 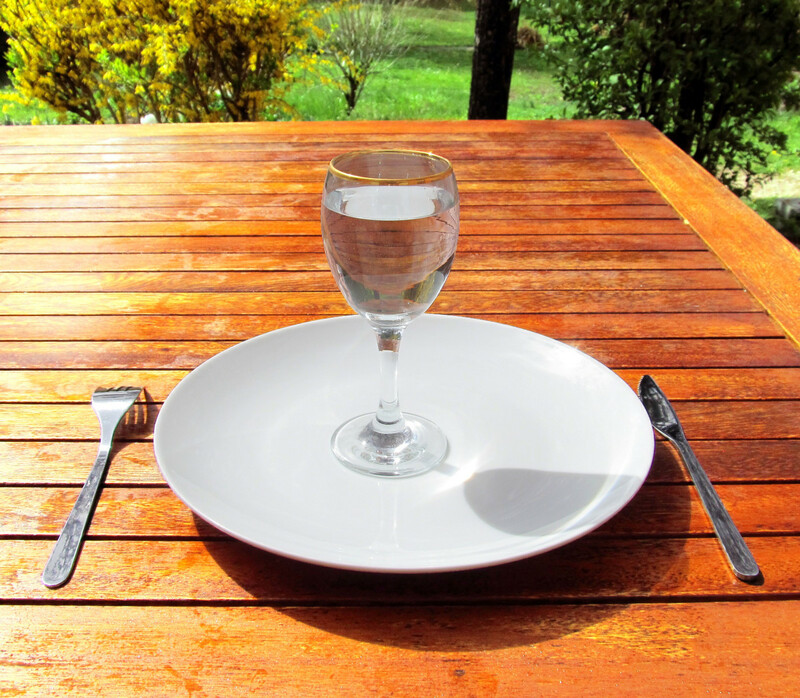 "Fasting works best when it is coupled with quality, whole, unprocessed foods and hydration with alkaline hydroxide water," says Kantor. "This water decreases inflammation and clears the detoxification pathways, which of course helps with detoxification which will help a little with weight loss." After an overnight fast your body is in prime fat-burning mode, due mostly to the fact that your insulin levels are low first thing in the morning. 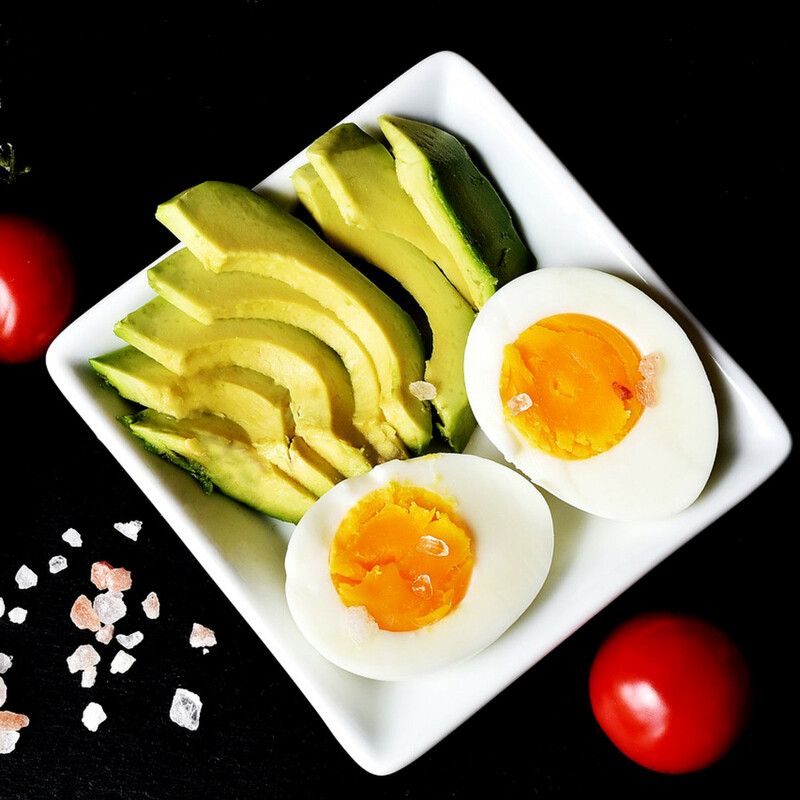 So when you eat the typical breakfast, which tends to be high in carbohydrates, this raises your insulin levels and brings fat-burning to a halt. Conversely, growth hormone (which burns fat and builds muscle) is higher early in the morning. But as soon as your insulin levels go up your growth hormone levels plummet. 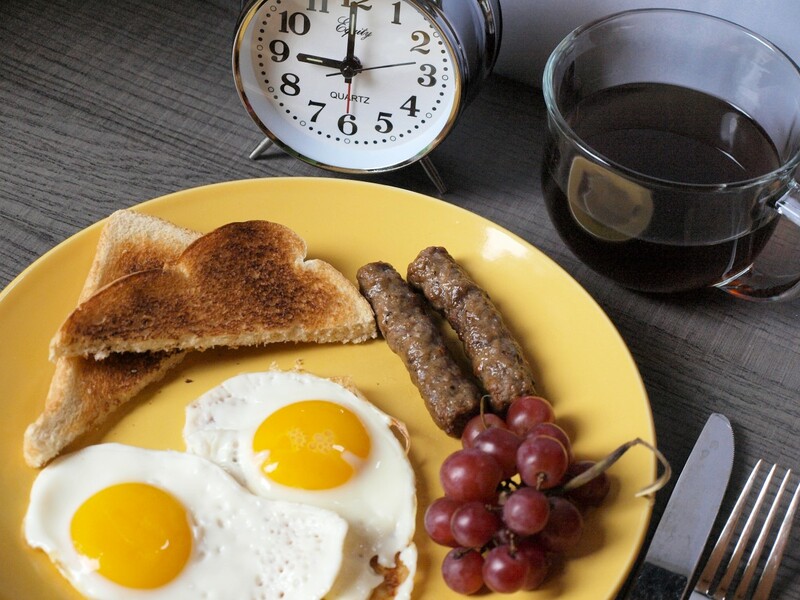 Eating early in the morning also tends to reduce (rather than increase) your energy levels due to the fact that it puts your body into "relax and repair" mode. So by eating breakfast (especially one that is high in carbs) you stop fat burning and reduce your energy levels. Intermittent fasting is the practice of incorporating short-term fasts into your eating regimen. Of course, we all "fast" while we're sleeping (thus the first meal of the day is breakfast). While some intermittent fasting methods involve not eating for 24 hours once or twice a week, I simply extended my night's fast until lunch. So I fasted for 16 hours and ate during an 8-hour window (from noon to 8 p.m.). There's quite a debate about whether skipping breakfast actually helps with weight-loss or not. One study, conducted in 2014, showed no difference in results between dieters who skipped breakfast and another group that ate breakfast. Another study from the same year however found that skipping breakfast not only assisted with weight-loss but lowered the risk of disease. Experts note a number of benefits from brief fasts. According to Kantor, they include increased longevity, improved brain function, improved insulin regulation, stronger resistance to stress, improved satiety, benefits of endogenous hormone production, and increased mental clarity. And no, skipping breakfast will not cause your metabolism to slow down or put you into "starvation mode". It takes a much longer period of time for that to happen. Who Shouldn't Try Intermittent Fasting? 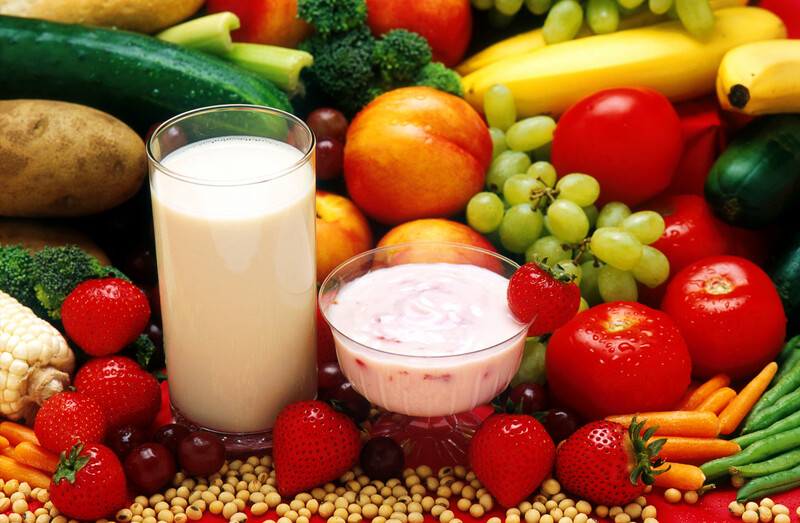 Talk to your doctor before starting this diet yourself. Skipping meals can be dangerous for people with diabetes as well as for anyone on medications for heart disease or high blood pressure. For lunch I just ate some protein and salad. The protein source was either a can of tuna (in brine or spring water) with a little olive oil mixed into it, or a 4 egg plain omelette, or occasionally about 100g of ham with a little cottage cheese. Salad choices could be cucumber, celery, lettuce, beetroot, peppers, tomatoes etc. That’s it; no salad dressing was used and no starchy carbs were eaten at lunch time. 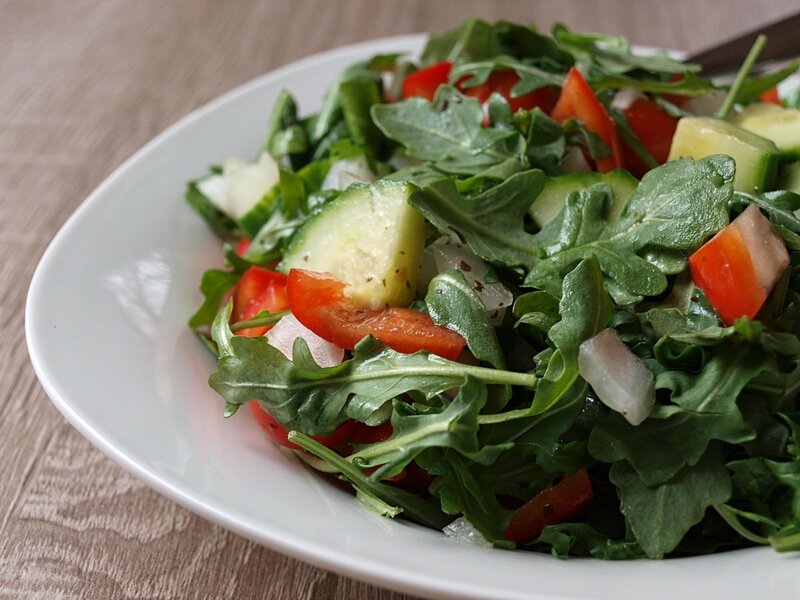 By not eating carbs (other than those in the salad) you keep your insulin level fairly low, which facilitates fat burning during the afternoon, as well as giving you more energy. But eating a reasonable serving of protein is important as this helps preserve muscle mass while you are losing body fat. After lunch I had two cups of coffee with a splash of semi-skimmed milk in them. And yes, I did get a little hungry during the afternoon sometimes; but that’s just something you have to accept and put up with. A little hunger occasionally will not do you any harm. I trained with weights three times per week, doing a brief but intense full body workout. On these days I had two scoops of whey protein in ¾ pint (400 ml) of low-fat (skimmed) milk after training. I also had a ripe banana at this time to provide a readily assimilable source of carbohydrates. The post workout shake is important as it helps put back what the training has taken out of you; and it gets the recovery process off to a good start too. You then need to eat a good meal about an hour or two later. Some form of resistance training is important whilst dieting in order to preserve (or even build) muscle. But if you don’t want to go to the gym and lift weights, you could always do some bodyweight exercises at home instead. On non-training days I did not eat anything after lunch until the evening meal. In the evening I had about 10 oz of meat, poultry or fish, with vegetables and some carbs (more carbs were eaten on training days than on off days). The carb source was either brown rice, potatoes or sweet potatoes. This was quite a substantial (but healthy) and filling meal. Having a larger meal with some carbs in the evening helps to replenish glycogen stores, keep the metabolism high and boost leptin levels. Leptin is your main fat burning hormone, so it’s important to keep levels high if you want the fat burning process to continue beyond a certain point. Then about an hour later I had a mug of organic cocoa made with semi-skimmed milk. And that’s everything. No processed, refined, packaged or sugary foods were eaten at all. And apart from the coffee, cocoa and post workout shakes all I drank was water. No alcohol was consumed; and no nuts or cheese were eaten either, as despite the fact that these are healthy, they are high in calories so are best avoided if you are trying to lose weight as fast as possible. 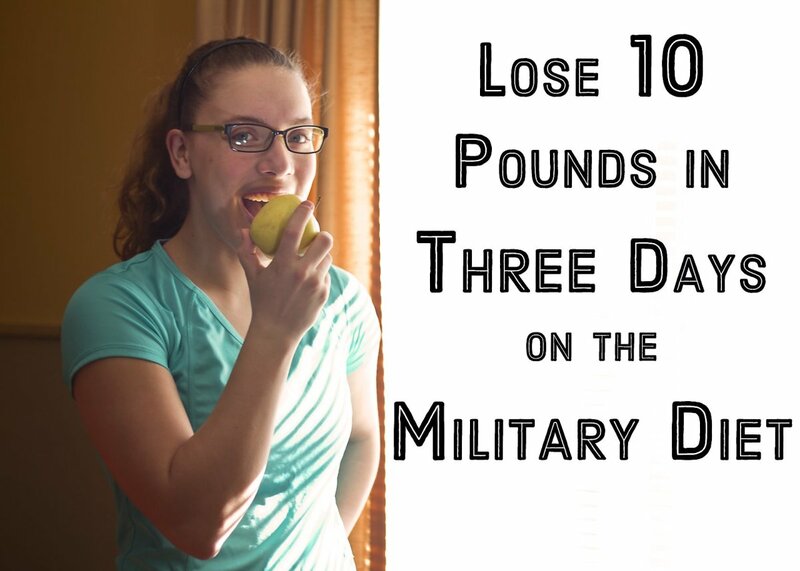 How much weight have you lost in a month? I followed the above regimen for six days each week and then I had a day off. Some people call this a ‘cheat day’ or a ‘re-feed day’, but it’s just a day when you can relax and eat a bit more of what you fancy. It’s not an excuse to eat whatever you want though, but you can eat more food, more calories and more carbs. You can even have a bit of junk food or a sugary desert if you want to. But just the one; and just on this one day. The purpose of the re-feed day is to give your metabolism an additional boost, and raise your leptin levels even more. If done right it will accelerate your fat loss during the following week. But if you overdo it, you will just undo a lot of the good you have done the previous week. So on this day I'd still skip breakfast, but for lunch I would have some cheese in my omelette as well as a slice of whole wheat pita bread. I’d have a glass of red wine with my evening meal, and afterwards I might have a desert – a piece of cheesecake perhaps. Or possibly a bowl of oatmeal instead. And I might also have some chocolate with my cocoa. During the week I did get my cravings for sugary foods, but I just told myself that I couldn’t have any until Saturday. That worked quite well; you can stick to something better if you have something to look forward to that’s not too far off. So that’s exactly what I did to lose 20 pounds in 30 days. This particular way of eating combines daily intermittent fasting with low carb under-eating during the day, a substantial evening meal and properly scheduled re-feed days. It worked great for me and I’m sure it will for you too. Let me know if you decide to try it. Can you continue intermittent fasting for more than one month? Yes, you can continue for as long as you want. Just remember that if you are on a calorie deficit for an extended period of time you should take a diet break occasionally to get your hormones back into balance and boost your metabolism a bit. A diet break is a period of 1 - 2 weeks where you bring your calorie intake back up to maintenance (or slightly above). 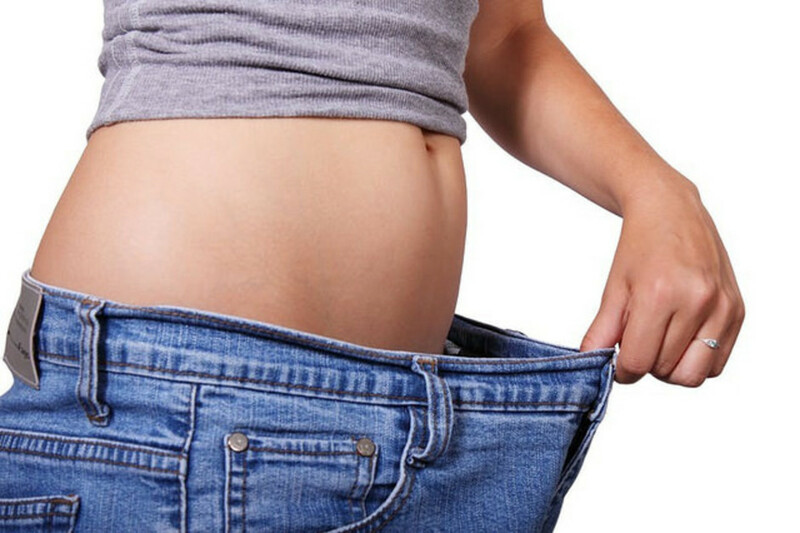 Then you can resume your weight loss efforts and you will see improved results. You'll feel a lot better too. If you are not losing or gaining weight, it means your calorie intake is at maintenance. To lose weight you will need to reduce it a bit and/or increase your activity. I did not count calories, and as calorie requirement is a very individual matter I cannot give you an actual figure for this. But if you want to lose weight you need to be on a calorie deficit. A deficit of 500 calories per day should result in losing a pound of fat per week. A 1000 calorie deficit will give you twice that amount. So work out what you need from that. Or, you could simply say, have a calorie intake of 10 - 12 times your bodyweight in pounds. That amount usually works very well for weight loss. Well done Erik. Yes the one meal a day plan does work extremely well. Start fasting for one month, and drastically dropped my weight down from 214 to 197 lbs. I fasted for 20-24 hours a day, only eating dinner. Sometimes I would have a cheat day or drink my calories at the club but this was only once or twice a week max. Thanks Divya; glad to hear you have made a start. Some people do find it a bit difficult at first, but it gets easier as time goes on. Best of luck. Started with IF today..hope I make it..your post is really inspiring! Best of luck with this Aanchal. Some people find it difficult when they first start, but it does get easier, and after a while it just becomes a normal routine. Hi David, I am planning to start IF and I just want some positivity and will. Thanks Kathy. It's great to hear you are doing so well with IF. Yes, I agree, you feel less hungry when you don't eat anything than if you were to eat small amounts and not feel satisfied. Here's wishing you continued success in the future. David, great article. I am into my second month doing IF. I fast for 23 hours and eat in a one hour window. I lost 12.4 lbs. in the first month. During my fasting window I don't eat breakfast or lunch. I drink black/green tea, water, mineral water during my fasting time. My energy has soared. I am saving money from not buying lunch out at work and I feel great. This is definitely the lifestyle for me. I had been on so many diets and could not stick to them because I stayed hungry. I do not get hungry now plus this is great for my social life because I can eat in the evening at all events. My eating time is 6:00 p.m. to 7:00 p.m. Every two weeks I am seeing positive changes. No more getting depressed either. I find I have better focus during my fasting window. The key is to keep sipping and also add an electrolyte (without sugar) to your water bottle. Thank you Edward. Glad you have made a good start with this. Yes, I think a re-feed day is very useful, both physiologically and psychologically. Hope the golf goes well. I always thought that might be something I'd like to take up one day. A great article David. I'm glad this diet fits you well. I was recommended this diet (mini fast is what he called it) by a good friend. I've been on it for 2 weeks, and I've lost about 7 pounds. I was craving breakfast this morning and noticed you have a re-feed - cheat day. I was worried that having breakfast one day a week would hurt me, but I think I'll be fine. Of course, I could have breakfast and start the 8 hour eating window at the same time. That works too. But Iike the idea of a day off if want to make a bowl of popcorn at night. I do need to exercise tho. I used to do mitt work (boxing), and haven't for a while. I bought a set of golf clubs from a friend and plan on trying that out...I just noticed you're from Britain..that's cool. Thanks Finn; hope you do well with this. To answer your questions, no, I used whey protein, not Slim Fast, and you don't have to eat the banana if you don't want to. After the month I just eased up slightly, but continued to follow the same idea, and I still do now. I only eat breakfst very occasionally, and I eat a small amount of carbs at lunch time on training days. I also have the occasional beer in the evening. That sort of thing. I'm about 5lb heavier than I was at the end of the month, that's all. I would like to try this because I've ballooned up to 186 (i'm 5 foot 7) and am used to weighing close to 170. It makes a lot of sense what you are saying. I don't know if I could avoid snacking, but I will try. I don't like bananas but I guess by protein shake you are talking something like Slim Fast? I wonder though that after the month, did you continue your practice or did you start to eat breakfast again and did that result in weight gain? A nice organized piece with specific tips that are easy to follow. I'll try this starting in August. Yes, I have kept most of the weight off. I am currently about 5lb heavier than I was at the end of the 30 days. I still skip breakfast most days, but occasionally I do have breakfast. And I have a small amount of carbs at lunch time on training days. Other than that I eat pretty much the same as described in the article. Hope it works out well for you Avril. An occasional re-feed day will give your metabolism a boost, so yes it is recommended. Just have a serving of brown rice, or a baked potato, or even half a pizza. And you could have a desert afterwards as well if you wish. It's best to stick to mostly healthy foods though, and don't overdo it or you'll just set yourself back. Well done losing 30lbs in two months Daniel. Remember to give yourself a carb re-feed occasionally though, as otherwise you may find your weight loss will slow down or plateau. Best of luck. I am starting tonight. I have been on keto diet for 2 months and lost 30 lbs. I need to lose another 20 by the end of July. I will do everything I am doing now except I will not eat breakfast. I eat 1200 calories a day with only 15 carbs. 100 proteins and 130 fats. I hope this will help me lose the next 20lbs I need. No, of course not. It's not possible with any program. hi Michael, i need to lose 20 kg in one month, it is possible with this program? You are welcome Michael; glad to be of help. Thank you, David for all of you suggestions and detailed answers. It helps me stay on task. Cheers! You can do it that way. It really depends on your schedule. It is not really necessary to replenish glycogen levels in the evening, as long as you have some post workout carbs, and your levels are fully replenished before your next workout. Personally I would not want to do HIIT or lift weights on an empty stomach because, as you say, you will break down too much muscle tissue. So yes, in this situation, if you don't want to consume EAA's you can just have a few eggs or a protein shake instead. Eating a light lunch is done to optimize performance in the afternoon, and the large evening meal helps facilitate relaxation. However for people who don't work in the afternoon it can be just as effective when done the other way round. And for you it sounds like it may well work better that way too, as you don't want your sleep to be disrupted. And does it matter which meal you skip? I am skipping breakfast right now, but would rather skip dinner with a light breakfast and large lunch with skipped dinner. Just not sure about glycogen levels and if it's necessary to replenish in the evening. Thanks for all the information. Hello David, thank you so much for posting this and unintentionally motivating many! But quick question though, I usually work out on empty an stomach and sometimes my workout involves high intensity cardio, yet, I don’t feel any hunger. I know my body might burn protein i.e muscle but I still do it. If I don’t want to consume EAA in the morning, can I eat a snack high in protein? If yes what are some examples? Thank you so much in advance! I have difficulty sleeping if I eat too much at dinner time. Is there an deleterious effect if I eat my large meal at lunch and eat light meal at dinner? No, you should not completely skip breakfast if you are working out early in the morning. The best way to do it would be to have a black coffee and some essential amino acids before training and then a whey protein shake with a banana after training. You would then have a light lunch, a mid-afternoon snack and your main meal in the evening. Or something along those lines. Hope that helps. Sorry for the follow up, but I was curious about the meal to skip. I workout early in the am. Does skipping breakfast depend on when you workout, i.e., workout in pm, skip breakfast, workout in am, skip dinner, etc.? Or, just skip the breakfast meal regardless of time you workout? Thanks again. Thanks Imtherealtara. Glad that was helpful to you. Yes, many people go way overboard on their cheat day's, which is not helpful, though I understand it. Best of luck anyway. Thank you, David, for posting this. I am going to try it. I especially like your rendition of the cheat day as I tend to go way overboard (ok, way WAY overboard) and end up as you said... undoing much of my previous work. You put that in a nice, sane perspective! Adding heavy cream will not generally raise blood sugar/insulin much, but it will add calories, so yes your fast would be broken. But it won't make a lot of difference, and many people do use cream with their morning coffee when following a regime such as this. Avoid milk though, of course. I love love love my morning coffee, but can't drink it black. Do you think adding 18% cream (or a higher fat cream) would make a big differance - or would it be enough to drive my insulin up effectively breaking the fast? You are welcome Rose; hope it goes well for you. This a great article describing what this gentlemen did to lose 20 lbs. What worked for him may not work for you, we are all different; consult your doctor before starting any diet plan. Great to hear your success story Anthony; best of luck in the future. IF is the best lifestyle. Notice I said lifestyle. Every time I see my doctor he says how IF and calorie cutting will increase your life. I lost 30 pounds with IF and it's now my lifestyle. I don't suffer, I don't crave junk. I eat from 12pm to 6pm. Fasting for 18 hours everyday. My life has changed. My energy, my blood work, my mental clarity. Perfect. I was 300 pounds, now 270 and on the way to my goal of 205. Yes; I did say in the article that I drank water in the morning. You can drink water whenever you want, and should drink plenty of it. Though personally I don't drink it within a couple of hours of going to bed. So no water or anything in the morning? Based off of your routine, when is first and last time in the day you drank water. I am starting today and want to follow to a T.
A little almond milk and stevia will make little if any difference. You are welcome Jaclyn. Glad you are finding intermittent fasting beneficial. I have been doing intermittent fasting for the past two weeks and love it. 1pm to 8pm, I am much more energized and am ok with not eatng breakfast in the morning. I do have my black coffee though to reduce the cravings. Thank you for sharing. I agree Z. If you can't go without breakfast, then don't. But if you are ok with missing breakfast this is just a convenient way to reduce your daily calorie intake whilst maintaining a fat-burning state until lunch time. But it's certainly not crucial; it's your total daily calorie intake that is much more important. Great to hear of your success Gee. Yes you are right, most people would do better by giving breakfast a miss. I have been on Intermittent fasting for 5 years. I eat from 12 noon to 7pm everyday. I lost 20kg in the first year. I am super healthy. I exercise twice a week. I have never been sick or anything. Breakfast is NOT important at all. Scientists have mislead us for such a long time. At first it is not easy to cut breakfast because you have been eating it all your life, just have effects for a short period because you getting out of the habit. I think I would get sick if I would start eating breakfast again. Yes, that's right. Just a teaspoon of cocoa powder in semi-skim milk. Hi! I'm curious about the last thing you consumed every day -- cocoa. Are we talking just straight unsweetened cocoa powder? I am still not into that "skipping a meal" in a day way. But I am happy for you because you have lost pounds through this. I guess I will just suggest that you burn more of calories/protein than the amount that you take in. In this way, you don't have to skip breakfast or any meal of the day. For me, I still consider breakfast as the most important meal of the day. Thanks for your comment, but you really need to keep up to date with the current research. Contrary to what you are saying, this is a very healthy way to do it, and breakfast is not the most important meal. Whenever you eat your first meal of the day you are breaking your fast from the night before, and it can be helpful to extend that fast through the morning - you'll burn more fat that way, and probably have more energy too. As I explained in the article you will not go into 'starvation mode' unless you go without food (or severely restrict your calories) for a much longer period of time than this. And as for it coming back; that all depends. You need to stabilize your weight at the level you are at. That takes a few weeks. But once your body has adjusted you won't put it back on nearly so easily. Of course if I suddenly drastically increase my calorie intake it will all go back on again, but the same could be said of any other method of losing weight. And I'm obviously not about to let that happen am I? I'm glad you lost the weight, but as a nutritionist, I can say this is not a healthy way to do it. Breakfast IS the most important meal of the day, as it is breaking the fast from the day before. If you don't get enough calories, fiber, protein, and so on, your body will go into starvation mode. You may have lost the weight, but it'll come back on double.